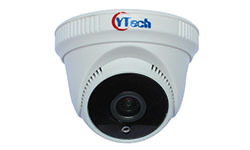 1080P HD-AHD real-time output, With high sensitivity Audio capture function. Hidden IR, Modern design of shell shape with beautiful appearance,easy to adjust and install. Adopting the newest 2.0megapxiels IMX323 HD CMOS sensor which presented by SONY, and High-performance processor V30E ISP which purely compressed by hardware.